Welcome to the home of Cub Scout Pack 44, Boy Scout Troop 44 and Venture Crew 44 ! 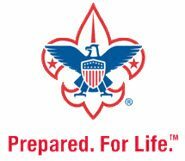 Our scouting units are part of the Aptakisic District of the Northeast Illinois Council of the Boy Scouts of America and are sponsored by the Men’s Club of St. Mary of Vernon Catholic Church. Cub Scout Pack meetings are held from 6:30 to 8:00 PM on the 2nd and 4th Wednesday nights of each month in the Sharing Hands Room of the church (map). Other special activities are scheduled throughout the year. Boy Scout Troop meetings are held the first and third Monday nights of each month from 7-8:30 PM in the Sharing Hands Room of the church (map). Outings, service projects and other activities are scheduled every month throughout the year. Check the Boy Scout section of the web-site and the respective calendar for more information on specific dates and events. Venture Crew meeting days are be determined on a month to month basis. All Troop 44 Boy Scouts who are of high school age are also part of our Venture Crew. Girls are also welcome in the Venture Crew and related activities. In addition to participating in the Boy Scout activities, Ventrue Crew members also participate in one or two “High Adventure” activities each year. We are looking to grow our Scout organizations, Cub Scout Pack 44, Boy Scouts 44, and Venture Crew 44. The income to support a growing organization: Christmas Tree, Poinsettia, and Popcorn Sales. A great facility at Saint Mary of Vernon both indoors and outdoors. Faith Days Family Fall Fest. Friendship Circle setting, and several landscape features. Plenty of New Tents and Other Camping Equipment. Cub Scout Pack 44, Boys, Kindergarten thru 5th Grade, 1st & 3rd Wednesday, Monthly, 6:30 to 8:00 pm. Boy Scout Troop 44, Boys, 11 to 18, 2nd & 4th Monday, Monthly, 7:00 to 8:30 pm. Venture Crew 44, Girls and Boys, 14 to 21, 2nd & 4th Wednesday, Monthly, 7:00 to 8:30 pm. Troop 44 will meet tonight, Monday, March 4, at 7:00 PM in the basement of the Business Office. Your new Scoutmaster, Chuck Gilbert, will be there to run the meeting. I am excited about the future of the Troop as we work together to rebuild the scouting program at St Mary’s of Vernon. Troop 44 updated their cover photo.